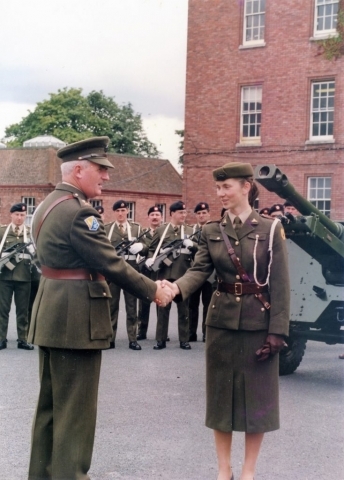 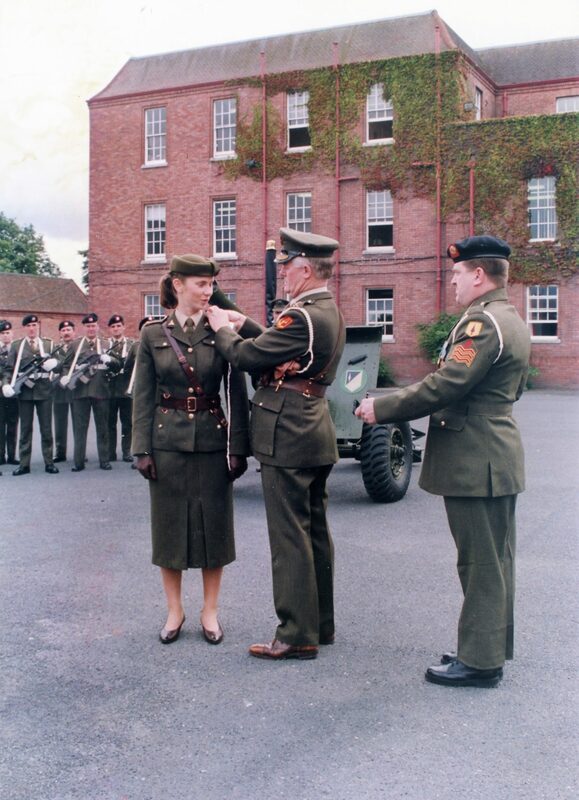 This album consists of photographs of the 2 Fd Arty Regt between the period 1990 and 1993, including gun salutes at Dublin Airport and Dun Laoghaire, an 84mm Anti-tank Winning Team, a Transport Inspection and the induction of the first Female Gunner Officer into the Regiment – 2/Lieutenant Siobhán O’Malley. 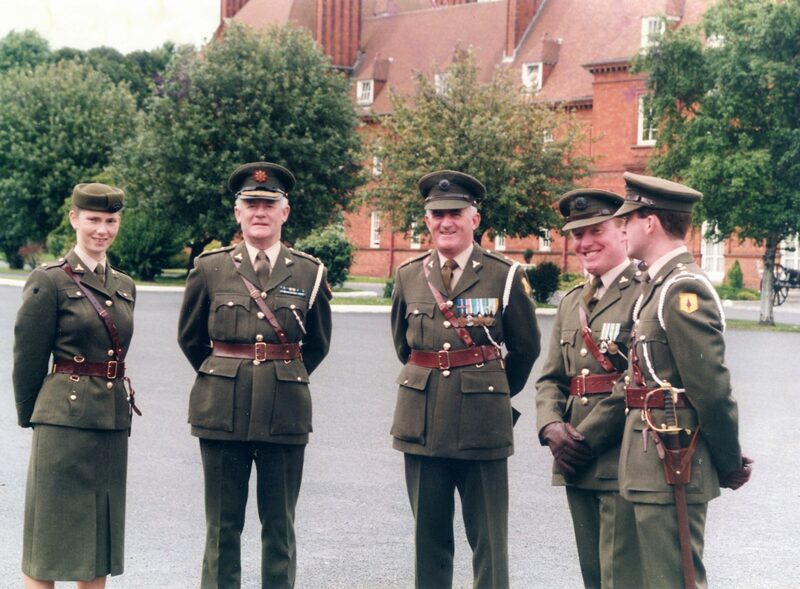 Personnel in the photographs associated with 2/Lieutenant O’ Malley’s induction include: Colonel M.D. 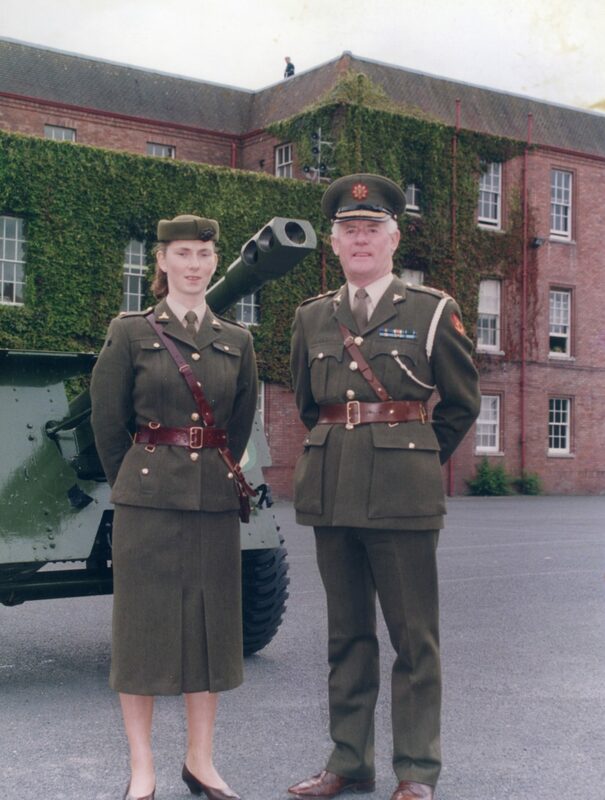 Shannon, Director of Artillery; Lieutenant-Colonel W.H. 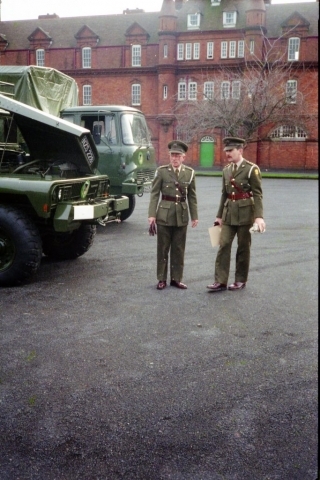 Gibson, Officer Commanding 2 Field Artillery Regiment; Captain Sean Finnegan; and Lieutenant Shane Bradley. 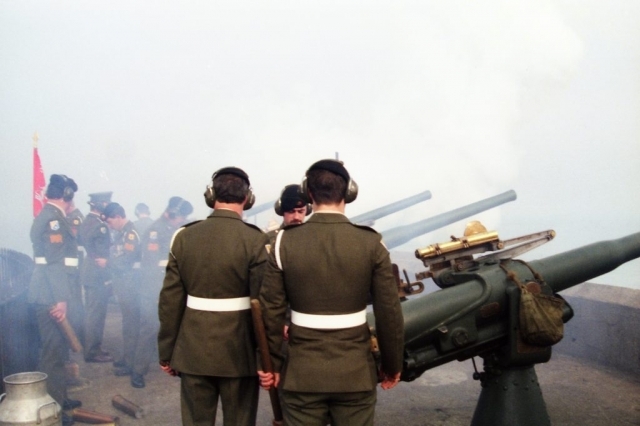 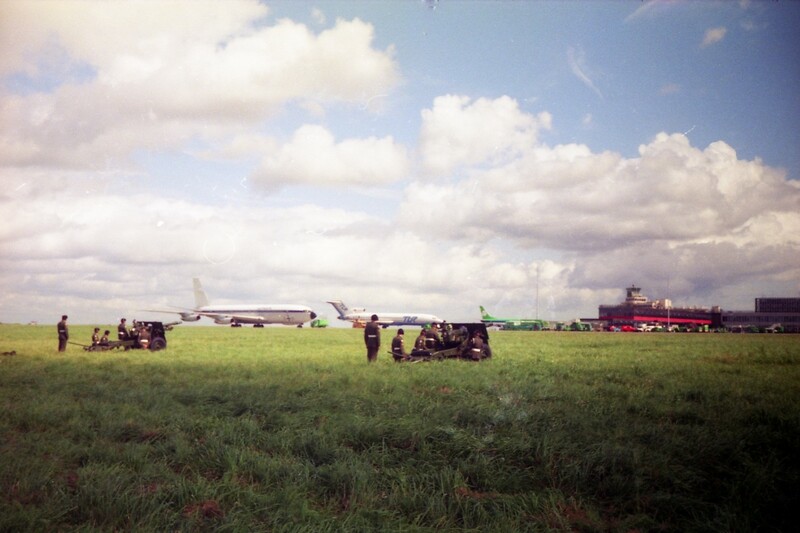 The 21 Gun Salute in Dublin Airport was on the occasion of the State Visit of H.E. Queen Beatrix of The Netherlands in October 1990. 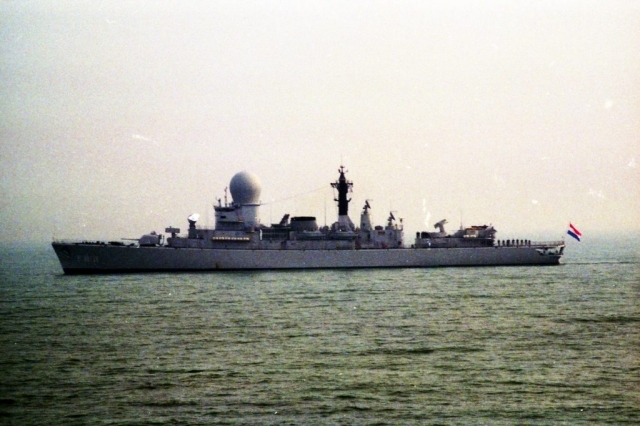 Using Coast Defence 12 pounders, the Regiment, under the command of Lieutenant-Colonel Mick MacAodhgáin, engaged in a gun salute for visiting Royal Netherlands Navy ship. 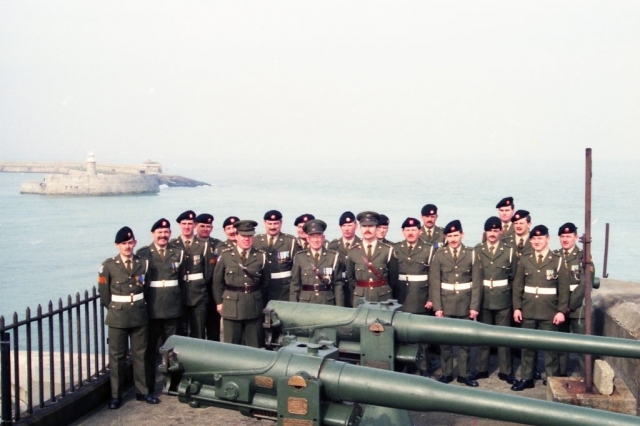 The Saluting Battery included Captain Tom O’Callaghan, Lieutenant. Séan Finnegan and Battery Sergeant O’Shaughnessy. 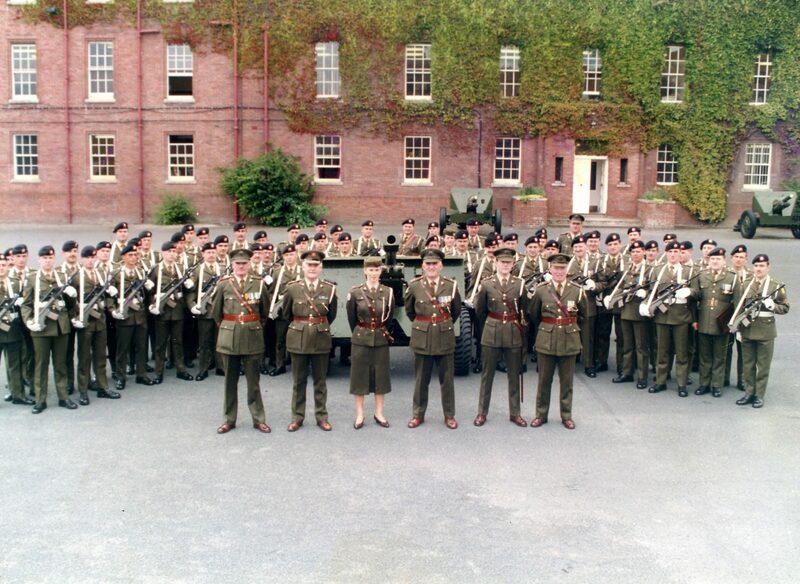 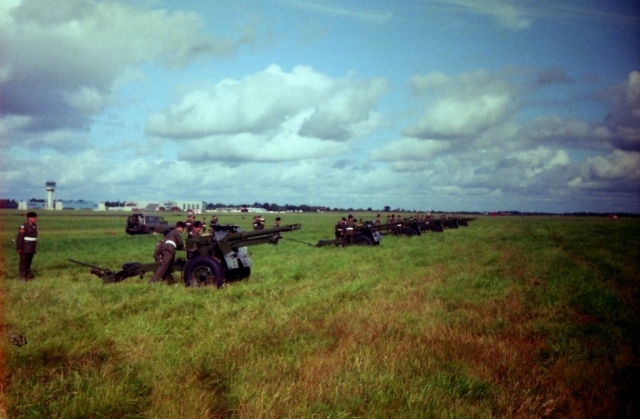 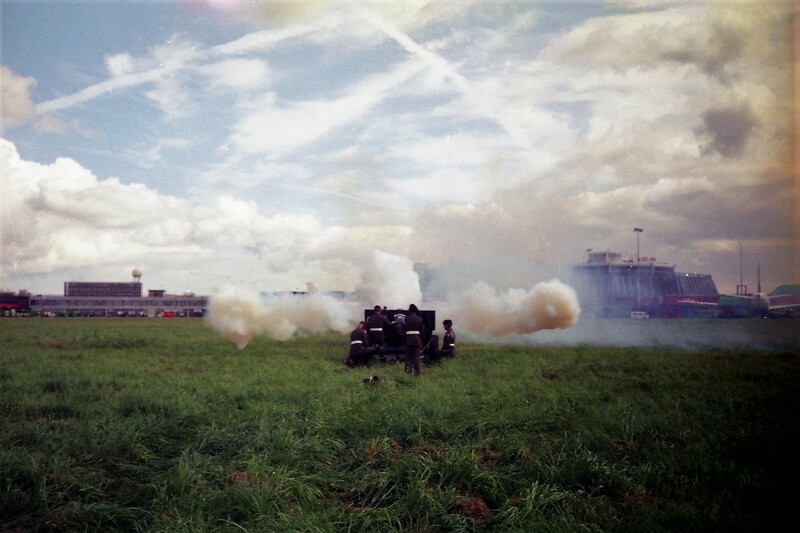 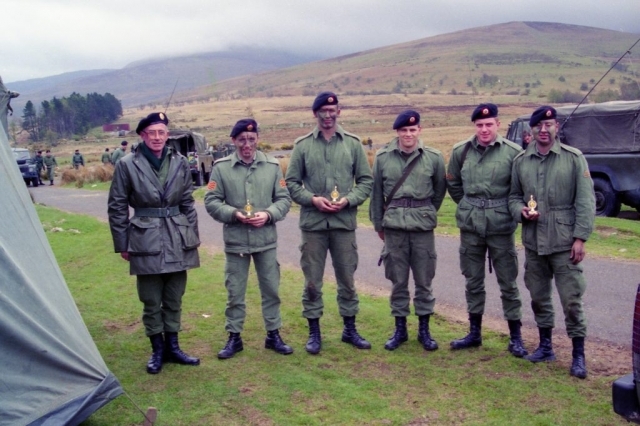 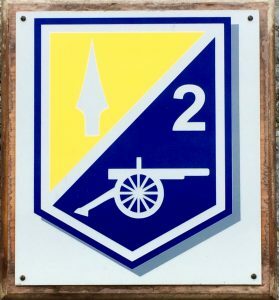 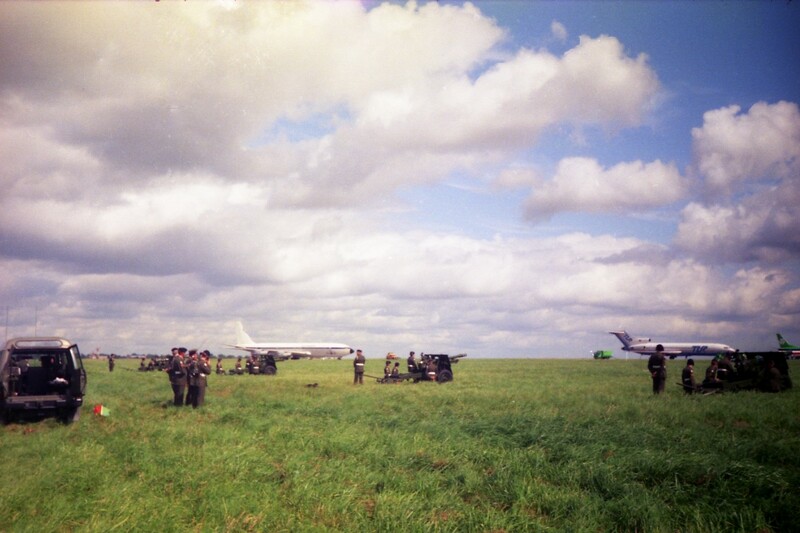 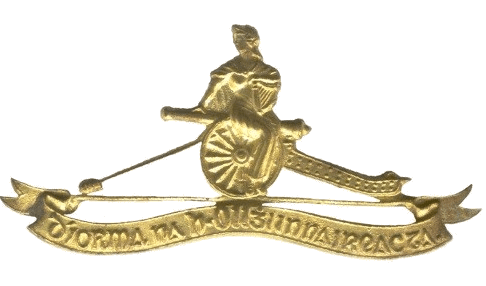 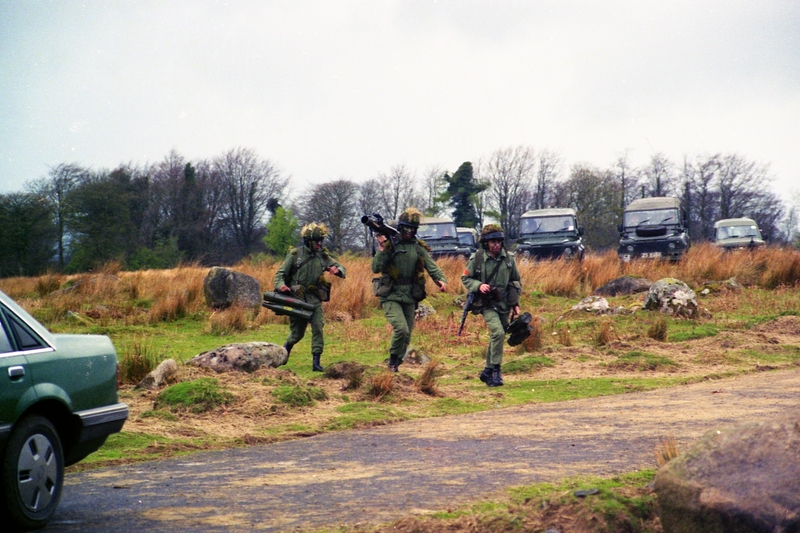 In 1990, the Regiment’s 84 mm Karl Gustav Recoilless Rifle Team were the runners-up in the 1990 in the Eastern Command competition – Lieutenant-Colonel Mick MacAodhgáin was Regimental Commander. 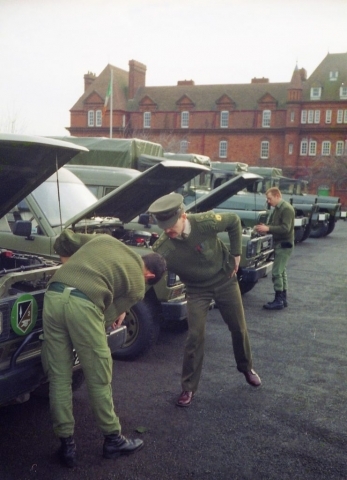 Photographs also show the Regiment preparing for an Eastern Command Transport Inspection in 1990 with Lieutenant-Colonel Mick MacAodhgáin and Captain Tom O’Callaghan, Transport Officer making a final pre inspectioncheck.